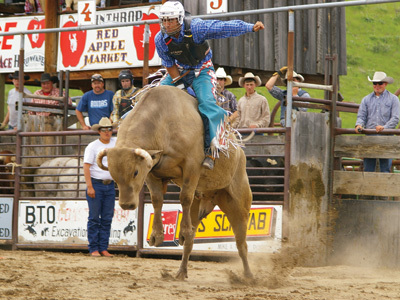 The Methow Valley Rodeo is produced by the Methow Valley Horsemen, a group of men and women from the Methow Valley who are committed to continuing the tradition of small community rodeo. We produce two rodeos each year, on Memorial Day weekend and Labor Day weekend. This is small town rodeo at its finest. Bring the family, some lawn chairs and your camera and prepare to have the time of your life!